Overhauled, restyled, and re-engineered in 2009, the 2010 edition of the Mazda6 was also on the receiving end of refinements and various upgrades, but of a comparatively minor nature. For example, some models got a push button start feature, while others now featured a blind spot monitoring system. But for all intents and purposes, the 2010 and 2009 Mazda6s were kissing cousins. There were two engine choices: a 2.5 litre four cylinder and a 3.7 litre V6, with two basic trim levels: GS and GT. The four cylinder developed 170 hp, while the V6 churned out some 272 horsepower. Depending upon the model, you could choose either a six-speed manual or five-speed automatic transmission. The manual could be ordered with a manual shift feature. Standard equipment level was high and included things like air conditioning, one-touch-down power front windows, cruise control, power door locks, steering wheel-mounted audio controls, and tilt-telescoping steering. Safety equipment included a full roster of front and side airbags and four-wheel disc brakes with ABS and options include leather interior, heated front seats, Sirius satellite radio, and exterior “puddle” lamps. 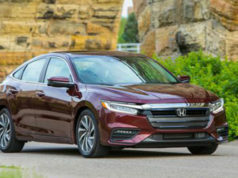 Compared to one of the 6’s fiercest rivals – the Honda Accord – the Mazda6 featured a slightly larger trunk, but otherwise, these two were pretty close, dimensionally. And, unfortunately, the four-door hatchback and station wagon versions were no longer available. Transport Canada shows two safety recalls for this iteration of the 6. One concerns possibly faulty door latches that may not close and/or lock properly and cause the interior courtesy light to remain illuminated and, over time, drain the battery. Not only that, the recalcitrant doors may even open inadvertently while the car is in motion, and cause all manner of mayhem. The other recall involves a possibly glitchy fuel supply system that could affect evaporation recovery components. Both contretemps are easily rectified by dealers and affect 2009 and 2010 models. To this we can add a bunch of technical service bulletins from the U.S. National Highway and Traffic Safety Administration (NHTSA) covering everything from condensation inside the headlights, to inoperative rear doors locks during cold weather conditions or immediately after a car wash, to missing floor-mat hooks, to water leakage coming in from the front passenger compartment roof pillars….some 13 in all. NHTSA also has 17 consumer complaints registered for the 2010 Mazda6. A sampling: “while driving at various speeds, the vehicle accelerated independently”, “the (brake) rotors are warped after less than 30,000 kilometres”, “the inner tail light lenses on both the driver and passenger side of the vehicle are physically melting”. Issues with the brakes and lighting system seem to be the most common complaints. Despite good marks in most areas from Consumer Reports, the 2010 iteration of the Mazda6 only rates an “average” used car prediction….down a notch from 2009. Problem areas include the braking system and mysterious squeaks and rattles. Some comments from owners: “seats are very roomy and comfortable”, “very Germanic handling, tight and responsive”, “a real ‘rocket’ for a little money”, and “I get between 25 and 31 mpg (11.4 L/100 km – 9.2 L/100 km)”. As well, notes C.R. “the V6 is quick but thirsty”. Marketing researcher, J.D. Power, meanwhile, gives the ’10 Mazda a below average grade for overall quality and just average marks for overall dependability, performance, and design. 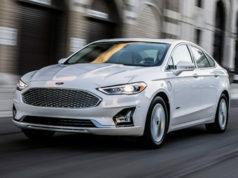 Powertrain quality, body and interior dependability, and body and interior mechanical quality are areas of concern according to this organization. While it can’t match the V6 in terms of performance, all things considered, the four cylinder version of this car is probably a wiser choice than the V6….at least in terms of operating costs and fuel economy. The V6 also featured a much harsher ride than its four cylinder stablemate. From a base price in the low $20,000 neighbourhood, a three-year old Mazda6 has dropped in value by some 50 per cent. 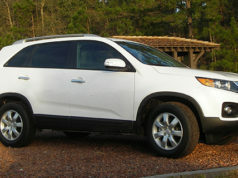 A base four cylinder GS ranges from the low to mid ‘teens, while the V6 is another $2000 – $3000 more. A full-zoot GT is valued at about $16,000 to $18,000. Horsepower/Torque: 170 hp / 167 ft. lb & 272 hp / 269 ft. lb. Fuel Economy (litres/100 km): 9.7 city/6.7 hwy (Four cylinder w. manual trans.) Regular gas. Alternatives: Honda Accord, Toyota Camry, Hyundai Sonata, Chev Malibu, Nissan Altima, Dodge Avenger.